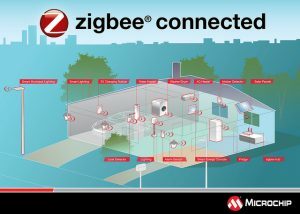 Microchip Technology recently announced the industry’s first ZigBee alliance-certified ZigBee platform with ZigBee PRO and Green Power features (formerly ZigBee 3.0). The software stack and corresponding BitCloud 4.0 software development kit is well-suited for the design of home automation and Internet of Things (IoT) applications. Enableing cross-functional device support, the solution is backward-compatible with existing ZigBee-certified products for seamless interoperability. ZigBee Light Link and ZigBee Home Automation devices are fully supported. The BitCloud 4.0 Software Development Kit (SDK) enables application development on the SAM R21 Xplained Pro Evaluation Kit, a Cortex M0+-based 32-bit microcontroller with an integrated 2.4-GHz 802.15.4-compliant radio. When used with the newly certified software stack, the SDK provides a complete ZigBee-certified development platform. 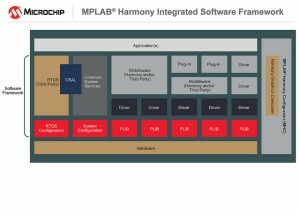 Microchip currently offers two platforms to begin ZigBee development. 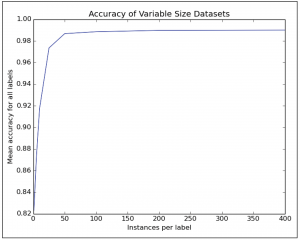 The SAM R21 Xplained Pro Evaluation Kit (ATSAMR21-XPRO) is available for $58. 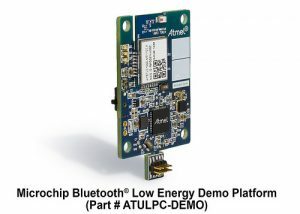 The SAM R21 ZigBee Light Link Evaluation Kit (ATSAMR21ZLL-EK) costs $92. 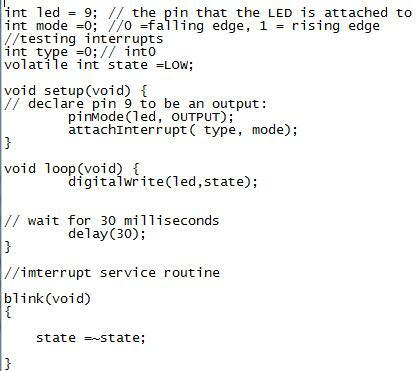 The ME Labs Standard D-Stick provides all the functionality of Microchip Technology’s 40-pin PIC16F1937 in a hardware module that includes a USB on-board programmer and virtual COM port. 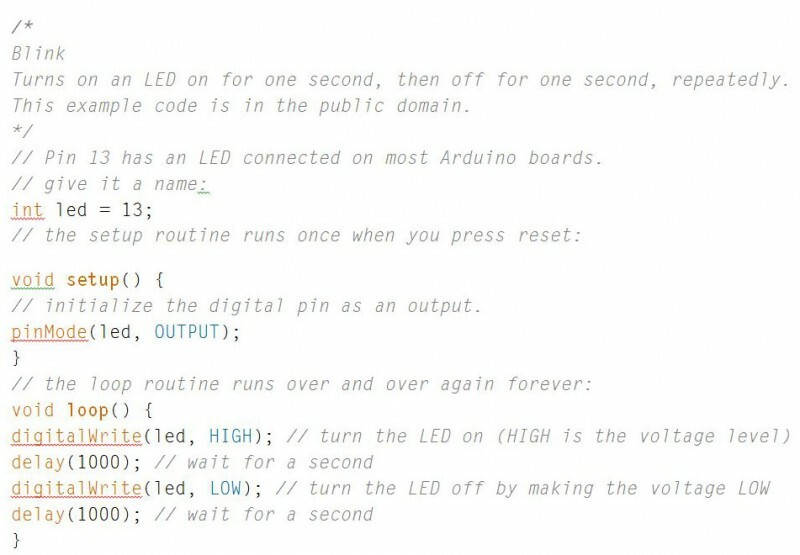 It’s a compact, easy-to-use alternative to connecting a serial port, programmer, and power supply to a solderless breadboard for project development. 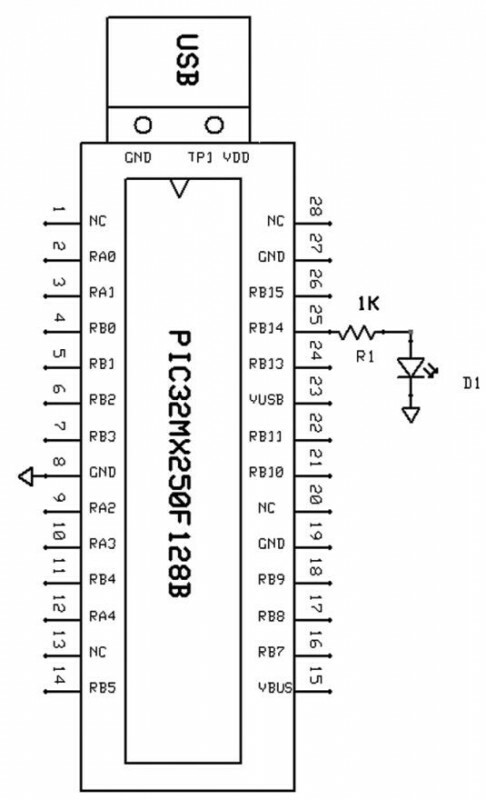 After development, you can simply replace the D-Stick with the pinout-compatible, production-ready PIC16F1937 microcontroller. You can combine the Standard D-Stick with the free PICBASIC PRO Compiler Student Edition for comprehensive development system that includes a code editor, BASIC compiler, in-circuit debugger, and device programmer for under $30. 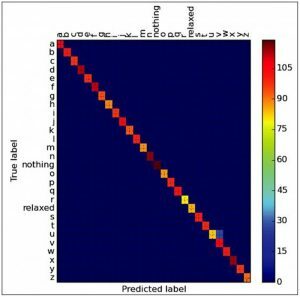 The standard version—which is based on the PIC16F1937 compatible with the free PBP Student Edition—costs $29.99. (It will be available for purchase by February 15, 2017.) The Advanced Version—which is based on PIC18F compatible with PBP Gold Edition (sold separately)—will be coming soon! IAR Systems recently announced that its Embedded Workbench now supports a new generation of Microchip Technology 8-bit AVR microcontrollers. 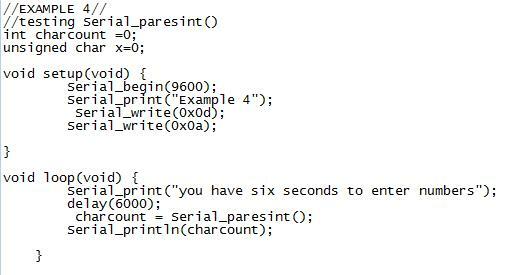 You can use Workbench with AVR microcontrollers to develop a wide range of low-power systems. 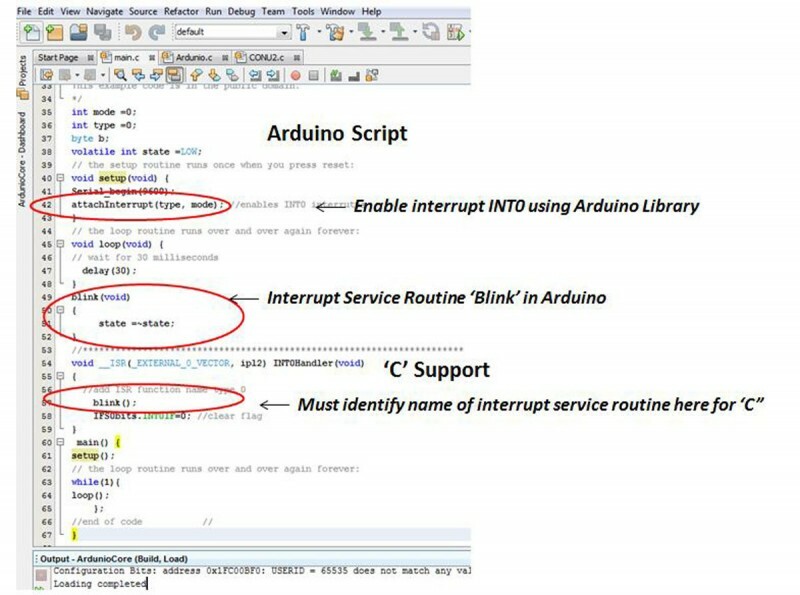 IAR Embedded Workbench offers full-scale support for AVR 32-bit MCUs as well as Microchip’s ARM®-based and 8051-based MCUs families. 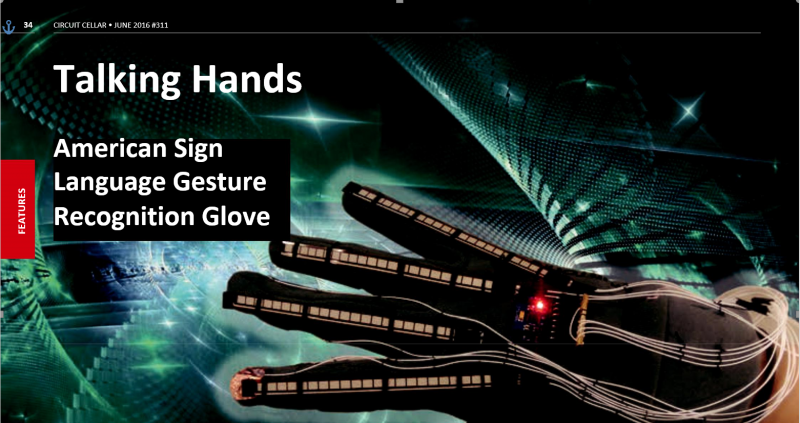 Microchip Technology and Silicon Integrated Systems Corp. (SiS) recently partnered to offer complete projected-capacitive touch (PCAP) and 3D-gesture interface modules. The modules are intended to simplify the design of multi-touch and 3D gesture displays with Microchip’s GestIC technology. 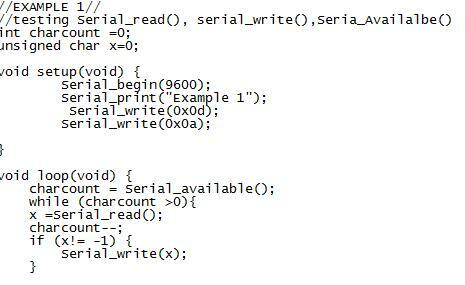 Microchip’s GestIC is intended to be combined with multi-touch PCAP controllers. 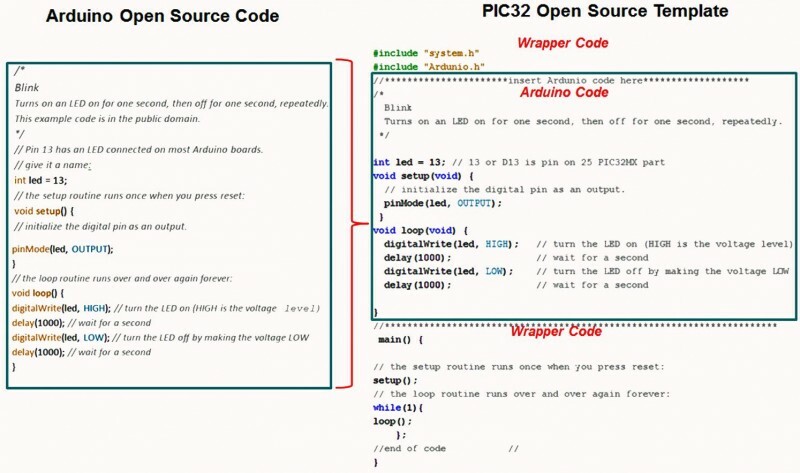 The modules from SiS integrate 2D PCAP and 3D gesture technologies. 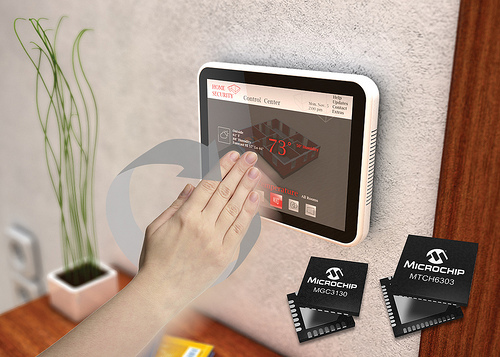 SiS modules with Microchip’s GestIC technology will enable engineers to deliver innovative 3D control displays in the consumer, home-automation, and Internet of Things markets. 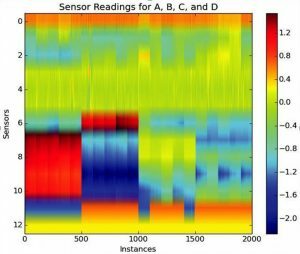 Posted in CC Blog, Product News	| Tagged 3-D, gesture, Microchip Technology, PCAP, Silicon Integrated Systems Corp. Microchip Technology recently announced the KSZ8061 single-chip 10BASE-T/100BASE-TX automotive- and industrial-grade Ethernet physical-layer transciever. Intended for data communication over low-cost Unshielded Twisted Pair (UTP) cables, it is the first of a new family based on the programmable Quiet-WIRE enhanced EMC technology, providing reduced line emissions and superior receiver immunity performance. 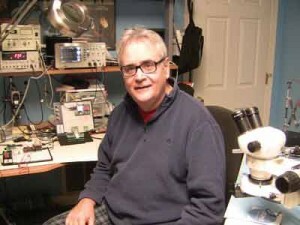 LinkMD+ advanced cable diagnostics improves system reliability. 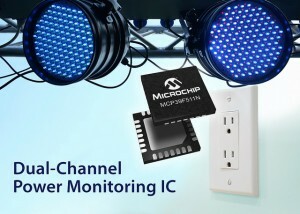 For energy-efficient applications, Microchip’s integrated EtherGREEN technology includes a unique Ultra Deep Sleep mode with signal-detect wakeup, which lowers standby power consumption to the sub-microampere range. With fast boot and linkup in less than 20 ms, the KSZ8061 is well suited for applications where startup time is critical. The KSZ8061 family is available with an extended temperature range of °40 to 105°Celsius for harsh-environment applications (e.g., industrial sensor networks and robotics). 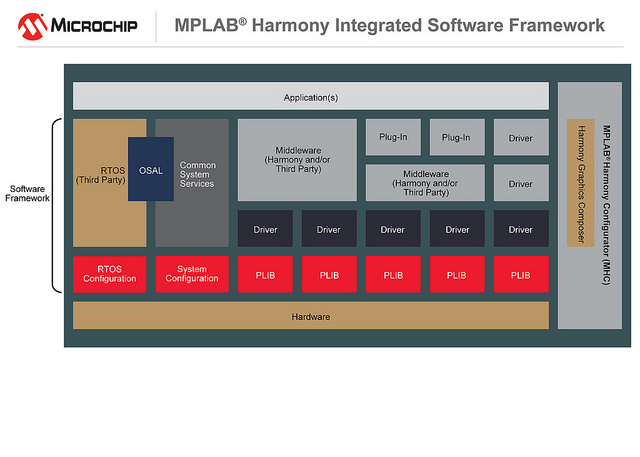 This Ethernet PHY transceiver family provides support for both the MII and RMII processor interfaces, for easy integration with numerous processors, MCUs and SoCs. Microchip also has a new evaluation board, to enable functional and performance testing of the KSZ8061. The $115 KSZ8061MNX evaluation board is now available for pre-ordering. The KSZ8061 costs $1.16 each in 10,000-unit quantities for industrial grade. Volume-production availability is expected in early 2016. 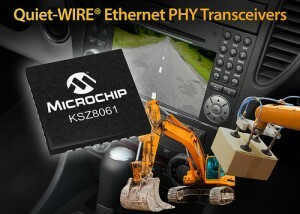 Microchip Technology recently expanded its Low Power PIC microcontroller portfolio. The new PIC24F GB6 family includes up to 1 MB of Flash memory with Error Correction Code (ECC) and 32 KB of RAM. 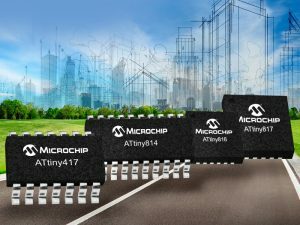 The new 16-bit MCU in Microchip’s first to offer such a large memory size. Featuring dual-partition flash with Live Update capability, the devices can hold two independent software applications, permitting the simultaneous programming of one partition while executing application code from the other. This useful combination of features makes the PIC24F GB6 family ideal for a wide variety of applications (e.g., industrial, computer, medical/fitness, and portable applications). 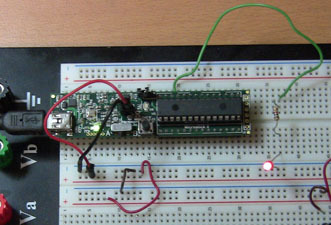 Microcontrollers in the PIC24F GB6 family have active current consumption as low as 190 µA/MHz and 3.2 µA in Sleep mode. With the ability to perform over-the-air firmware updates, designers can provide a cost-effective, reliable and secure method for updating their applications. 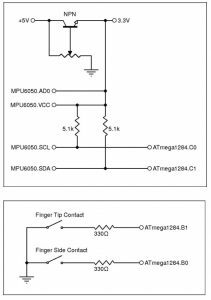 The robust peripheral set for these devices includes a 200 ksps, 24 channel, 12-bit analog-to-digital converter (ADC). 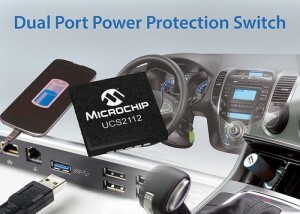 The PIC24F GB6 family is supported by Microchip’s standard suite of development tools. 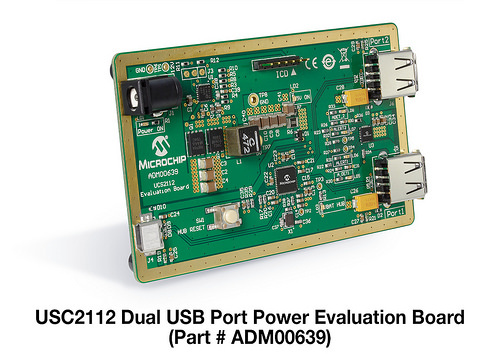 The new PIC24FJ1024GB610 Plug-In Module (part # MA240023, $25) is available today for the Explorer 16 Development Board (part # DM240001, $129). All eight members of the PIC24F GB6 microcontroller family are released for volume production, and are available within normal lead times. Pricing starts at $1.74 each, in high volumes. 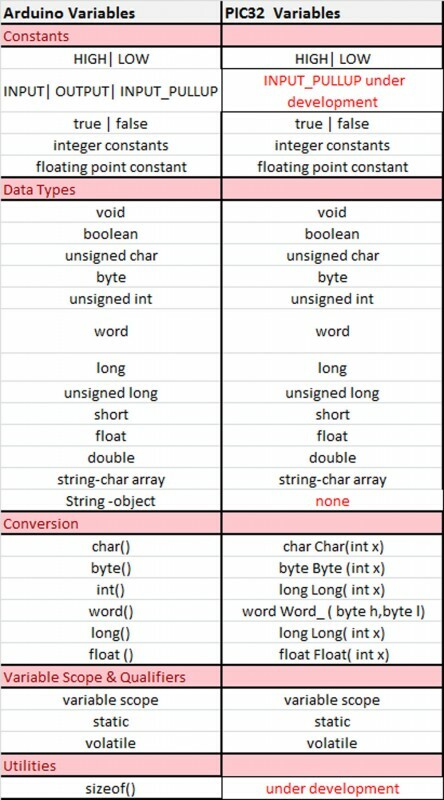 Product variants are available in 64-, 100-, and 121-pin packages, with flash memory ranging from 128 KB to 1 MB. 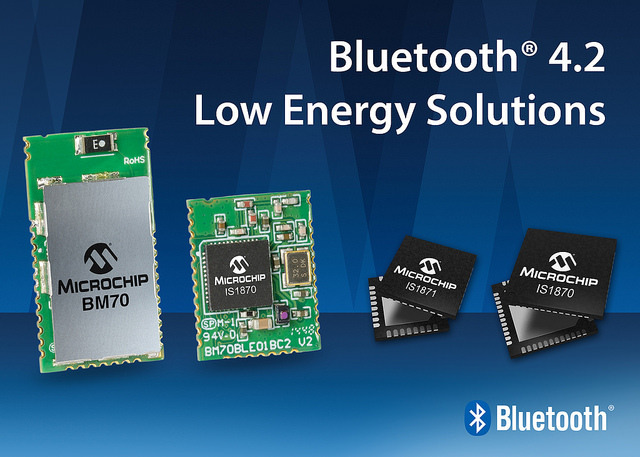 Microchip Technology recently launched next-generation Bluetooth Low Energy (LE) solutions intended for Internet of Things (IoT) and Bluetooth Beacon applications: the IS1870 Bluetooth LE RF module, the IS1871 Bluetooth LE RF module, and the BM70 module. 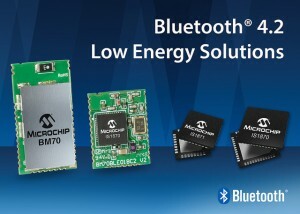 The Bluetooth LE devices include an integrated, certified Bluetooth 4.2 firmware stack. 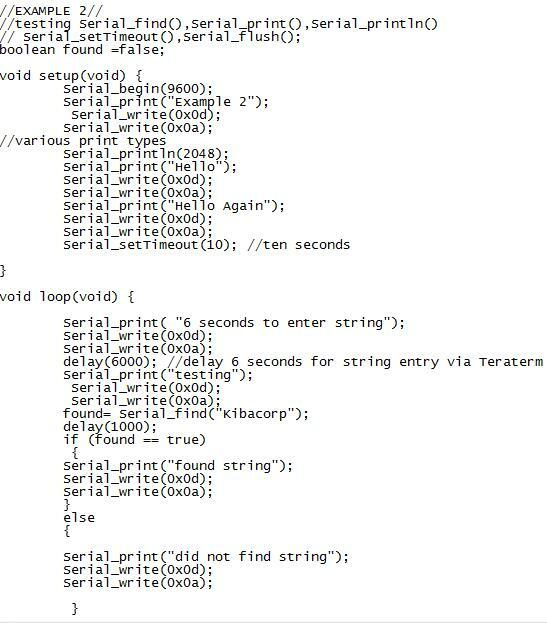 Data is transmitted over the Bluetooth link using Transparent UART mode, which you can integrate with any processor or PIC microcontroller with a UART interface. The module also supports standalone “hostless” operation for beacon applications. The optimized power profile of these new devices minimizes current consumption for extended battery life, in compact form factors as small as 4 × 4 mm for the RF ICs and 15 × 12 mm for the module. The module options include RF regulatory certifications, or noncertified (unshielded/antenna-less) for smaller and more remote antenna designs that will undergo end-product emission certifications. 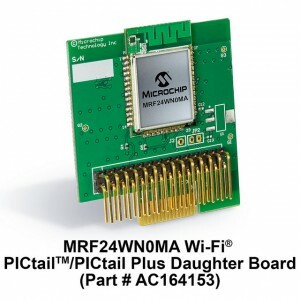 The BM70 Bluetooth Low Energy PICtail/PICtail Plus daughter board enables code development via USB interface to a PC. 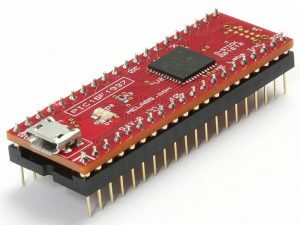 Or you can connect to Microchip’s existing microcontroller development boards, such as the Explorer 16, PIC18 Explorer and PIC32 I/O Expansion Board. The BM-70-PICTAIL costs $89.99. 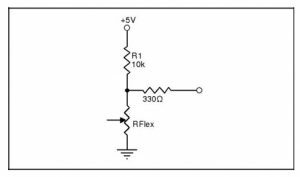 The IS1870 Bluetooth LE RF IC (6 × 6 mm, 48-pin QFN package) costs $1.79 in 1,000-unit quantities. The IS1871 (4 × 4 mm, 32-pin QFN package) costs $1.76 in 1,000-unit quantities. The 30-pin BM70 Bluetooth LE modules are available with or without built-in PCB antennas, starting at $4.99 each in 1,000-unit quantities.